Hm, I might make a model of a floppy sometime in the future. @C-rex Actually when accesing the hatchery,you had to put the Egg floppy disc and then it would scan and let you get acces to the eggs. Once the eggs where all used,you had to go to the emergency kit and stock up on the eggs. This is a thing I can't confirm 100% but I *think* it also made the eggs more random too (mixing various mum&dad genes) so you allways got various Norns from different eggs,rather then the pre-installed ones where there is already a set of a mum&dad eggs per egg type (But again,I cannot confirm this,as I am not able to run my oldest C1 copy) - But this is a thing I belive it did. Unless you can only setup 2 gens per egg. Sometime,I do miss the little C1 egg suprise mixes you got. It's a thing C2 and C3 didn't have anymore,they give pure Norn breed eggs. Alltought it is easy to make them for C2(Egg maker) and C3 (Pray I guess? I never made egg agents for C3/DS-can ). Another alternative is to make eggs with Genetic Kit,by load one genom and enter moiker of the other to make a mix of two breeds. Was this disk used to restock the in-game hatchery? Only the egg disk used a floppy I believe, the game itself was installed via CD. This egg disk can be scanned in the hatchery. 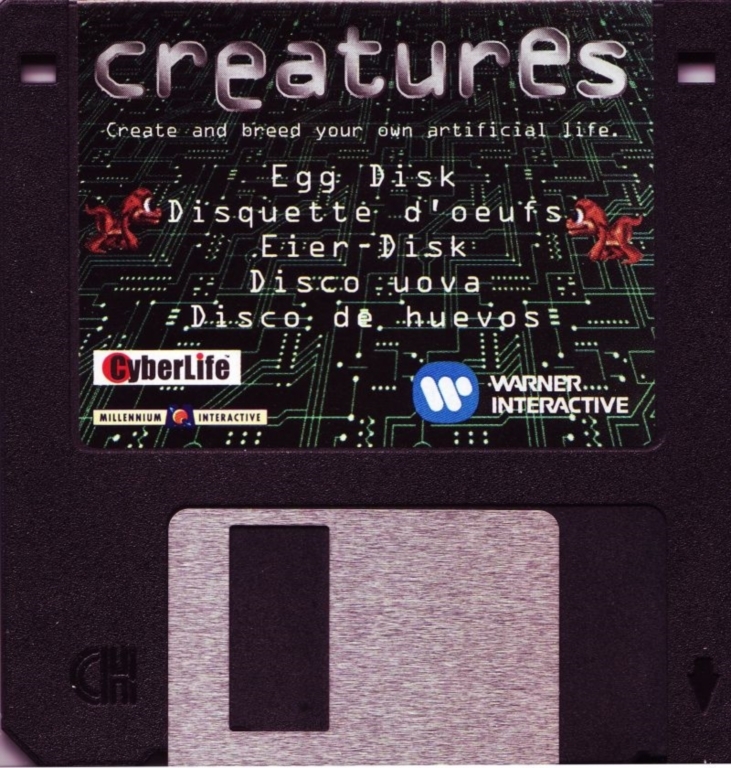 Wow, to think creatures is so old that it came in diskettes.